Win 2 weekend passes to the Electric Vines Music Festival! Cape Town – One lucky Channel24 reader can win 2 weekend passes to the Electric Vines Music Festival to celebrate the New Year in style! 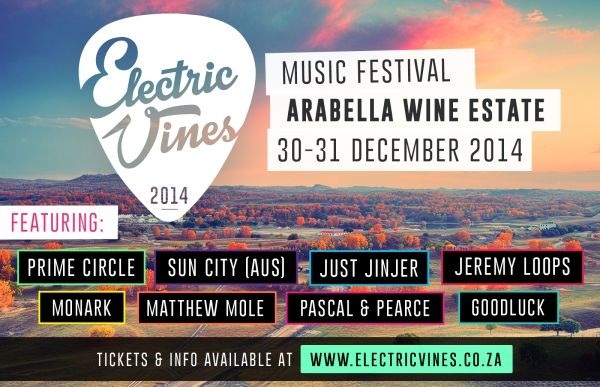 The festival is taking place at the Arabella Wine Estate in Robertson Valley on Tuesday 30 December and Wednesday 31 December 2014. Local bands that have been confirmed for the line-up include Just Jinjer, Prime Circle, Pascal & Pearce, Monark, Matthew Mole, Cath Grenfell, Goodluck, Jesse Clegg, Gangs of Ballet and Jeremy Loops. Get some peeps together and e-mail us a photo of you having a good time. 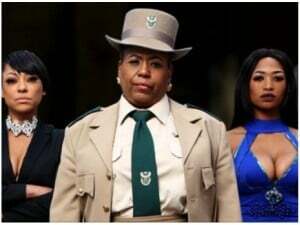 Send the photo to music@channel24.co.za together with your name, surname, ID number and cellphone number. Competition close on Tuesday 30 September at 12:00 and winners will be announced and notified via e-mail on the same day. Click here to get all the information you need about the Electric Vines Festival.